The other day, driving my daughter to school, I caught sight of an object on the side of the road. My heart raced. What would it be? Trash or treasure? The next great find? or something best left for the junkyard? In this case, I passed, because as I drew closer I saw that that beautiful object obscured by shining sun was just an old TV stand. 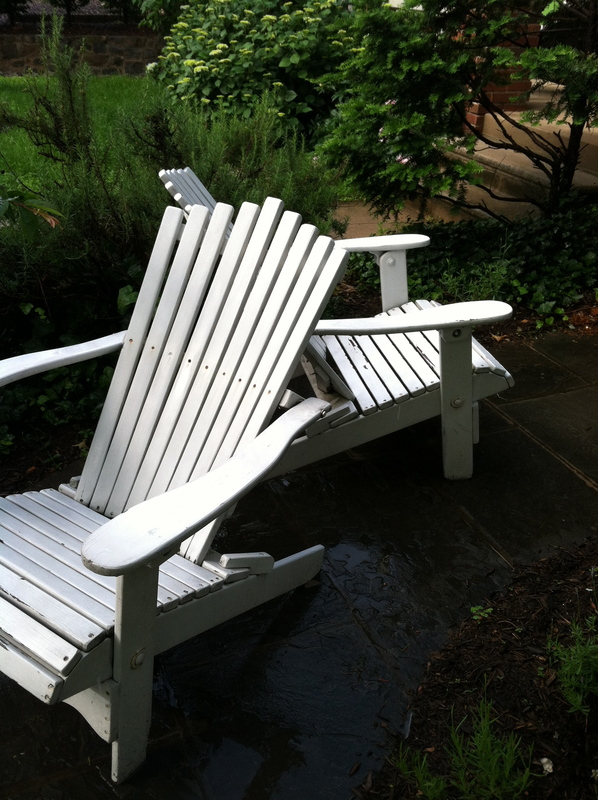 But I don’t give up because sometimes you find something truly beautiful, such as these funky Adirondack chairs. Even though it took me twenty minutes to get them in the car, it was well worth it!